PaddleAir adds to the Ergo family of rib protection, back stress relief products with the introduction of the new long sleeve Ergo Sun Hoodie. The new Ergo Sun Hoodie takes the cutting-edge Ergo design with the patented adjustable Neoprene bladder front and combines it with a 50+ U.V. protection Lycra black with long sleeves and brimmed hood. 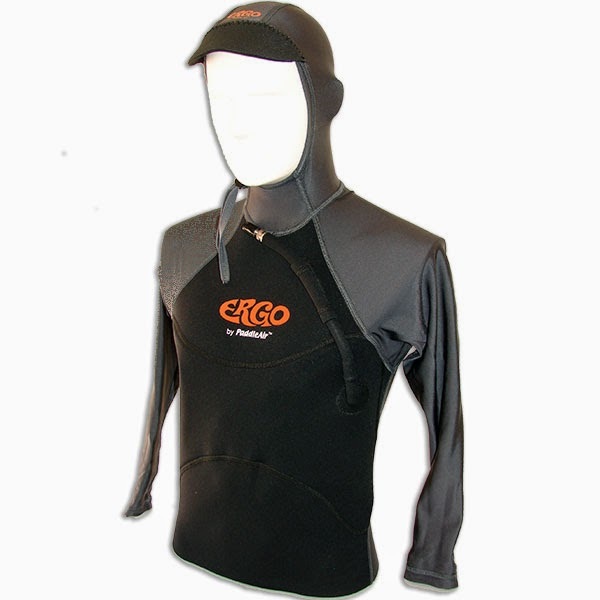 It works great worn with trunks and works equally well when worn over or under a wetsuit. The comfortable Lycra hood features a soft-brim shade and draw string and can be pulled down as needed. For the tropics it offers maximum protection from the beat of the sun and great wind protection in all surfing conditions. The durable PaddleAir Ergo Sun Hoodie features a black Neoprene front with the Lycra back, hood and long sleeves in a stylish slate color. 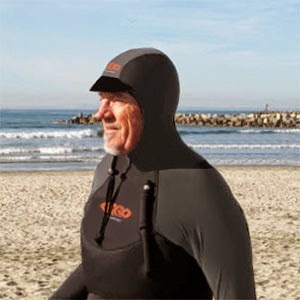 As with all PaddleAir products the Ergo Sun Hoodie takes a revolutionary approach to putting your body in an elevated prone position using an adjustable inflation chamber that is integrated into the stylish wind-shirt, rash-guard type garment. The result is a comfortable and highly functional paddle-wear designed to relieve the everyday body stress of prone paddling and put your body in a position to make stronger paddling strokes. With a PaddleAir Ergo Sun Hoodie you'll not only paddle stronger so you can surf longer, but you'll be able to stay out longer and be super protected from the sun and wind. Get a PaddleAir Ergo Sun Hoodie Today!